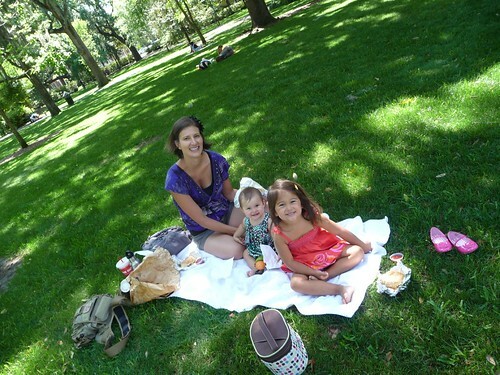 Mali Mish – Day 85: Forsyth Park picnic for Mother’s Day. Day 85: Forsyth Park picnic for Mother’s Day. Today I woke to a special surprise. Dan cooked breakfast for me!!! Just kidding. He does that every day for me. He cooks. I clean. It’s our little arrangement. But I did wake up to this. A card from the girls. 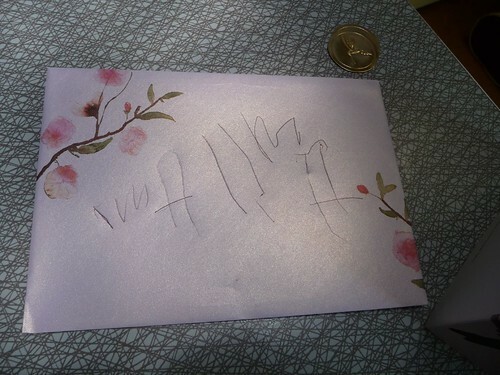 And look who wrote ‘mama’ for the first time. Thanks Ava!! Wait a second!? Is that a bridge in the middle on my name? Ava, are you making fun of my fear of bridges? Nice, Ava. Real nice. Since today was Mother’s day (and our last full day in Savannah), it was Mama Marlene’s choice. What shall we do today? Hmmmm. Dan told me he had a special surprise for me today. He was going to take me camping. Funny, Dan. Real funny. So to get him back, I decided to throw him a curve ball. Today was spring cleaning day!!! Take that funny man! We took everything out of the van (a.k.a our garage) and reorganized. It really needed to be done. We had tracked so much sand from all of our beach days and it needed to get out. I wonder what our million dollar Prevost neighbors think about us now? During the last week or two in Florida, I was growing a little tired of the trip. I wasn’t sure if it was the actual trip or just being in Florida a little too long. Luckily, it was just Florida that was bringing me down. And crossing the border into Georgia brought the sense of adventure that we all needed. I have been really looking forward to our stay in Savannah and it sure did not disappoint. I loved everything about this place. The houses. The squares. The trees. 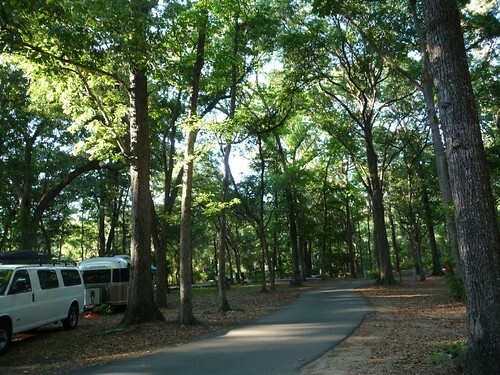 I love it all… well, except for the humidity and bugs. Were you expecting me not to complain one bit? I AM from California, in case you forgot. We like to complain about weather! Once the van was spruced up, I had a real Mother’s Day request. 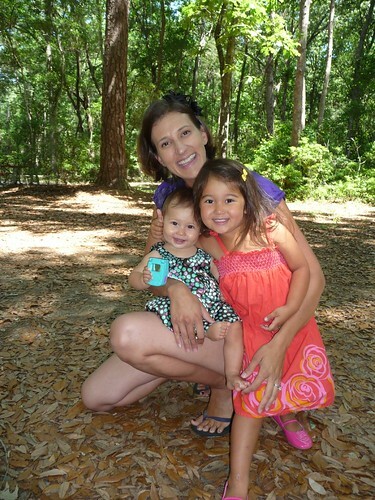 A picnic at my favorite park, Forsyth Park. But what shall we eat? 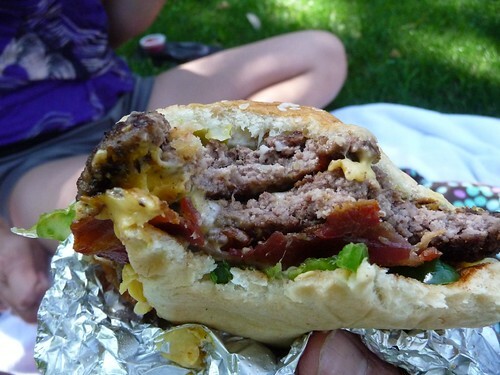 Burgers, what else! And thanks to blog reader Patrick, we had a recommendation. 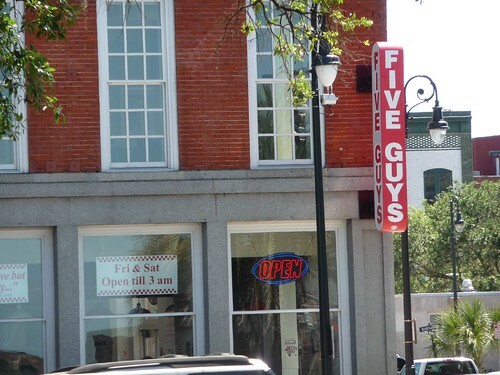 Five Guys Burgers. Can we eat now please? 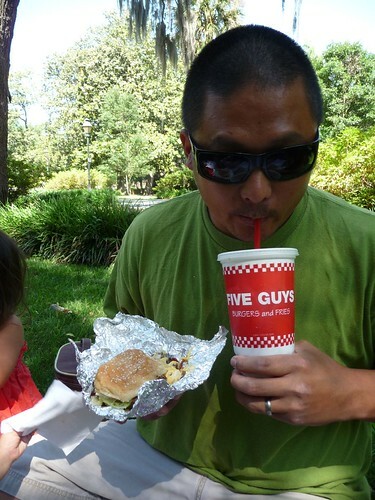 And how did the Five Guys burger stand up to Dan’s burger standards? Well, it did pretty well. It’s no In N Out but it held its own. Sorta tastes like a homemade burger. But tons of topping choices. Like bacon. Mmmmm, bacon. 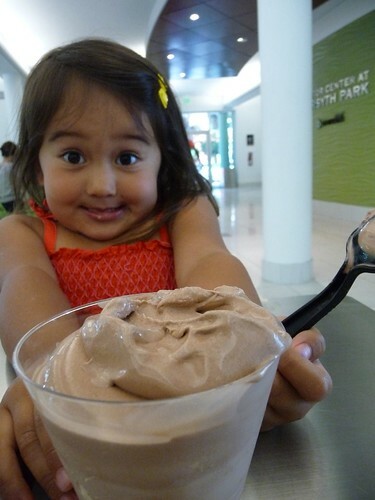 And no day would be complete without a little ice cream. Our road trip started off as “let’s go see this cool historical place and then eat around there“… and is slowly turning into “let’s eat at this restaurant and then go see whatever is around there‘. Lol. 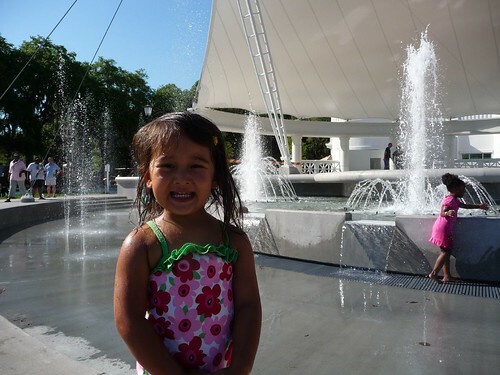 Forsyth Park has this brand new splash area next to a fountain and a stage. Perfect for little kids. Except one thing. 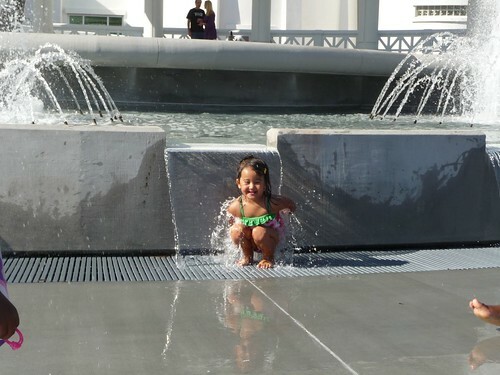 When parks and recreation opened this new area up a few months ago, they didn’t plan for the kids to jump into the fountain. Or for them to bust out boogie boards and use the stage as a slip ‘n slide. And one kid forgot his boogie board and just used his soaking wet socks to slide into the fountain. This is all second hand info. From the freshly hired splash area police. Seriously. 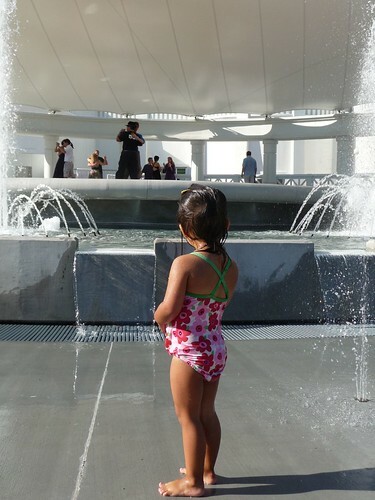 Ava didn’t care that the fountain and stage were off limits. 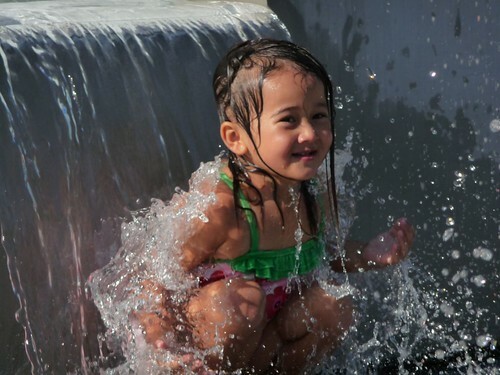 She was happy as can be in the splash area. And enjoyed the dancers on the stage as she continued to frolic in the water. 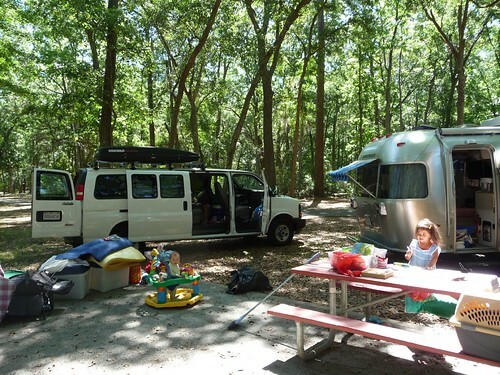 When we got back to Skidaway Island State Park, Dan told me that all the million dollar buses left the campground per his request… as “another” present for me for Mother’s Day. Keep joking Dan. Father’s Day is just around the corner. Day 84: Pirate house and more trolley rides. Day 86: Savannah’s sister city – Charleston, SC.